California Shakespeare Theater tickets are perfect for fundraising. 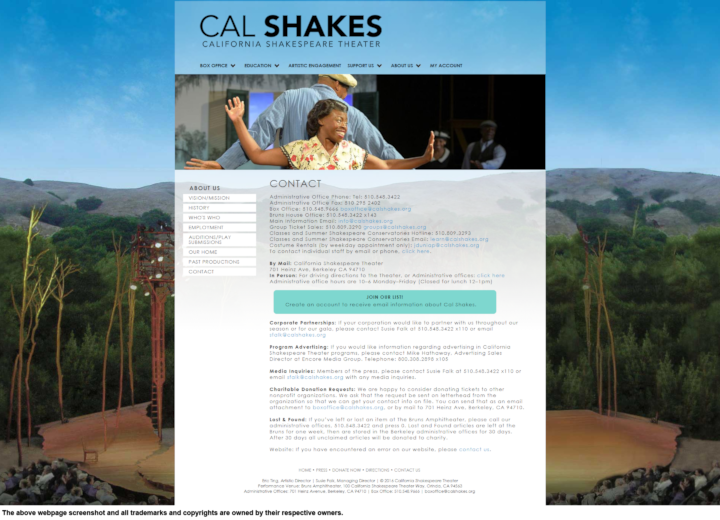 Read more about how your organization can qualify for and use a donation from California Shakespeare Theater, or click here to find and solicit more donors like them! California Shakespeare Theater considers donating tickets to other nonprofit organizations in the area. You can send your request via email, it must be on the organization's letterhead with complete contact information.